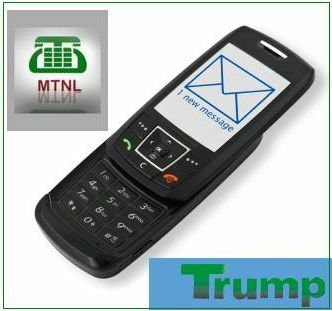 MTNL Mobile customers now have another option to stay in touch with friends, with the launch of TRUMP SMS Pack. The new sms pack has been launched for its pre-paid customers of Mumbai circle. This is the latest endeavour from MTNL to act as a value-for-money option in Mumbai circle. One can enjoy 250 FREE SMS at any time of the day with a validity of 30 days for a price tag of Rs.30 only. MTNL Mumbai quotes the launch of TRUMP SMS Pack is the result of our internal research on the SMS usage during the festive season and the product have been specially designed to cater to our customers. We are positive that the value proposition of the product will greatly benefit customers with high SMS usage especially in the festive time. i want to know can i sent sms to airtel, vodafone, loop mobile & idea also. i am using vodafone services. for this card is it necesary to puchase mobile services from mtnl. i want to purchase sms card from where i will get, my mobile no 9969508147 can use in this mobile of dolphin.